Residents at Blue Valley Lutheran Homes enjoyed many activities to celebration National Assisted Living Week. 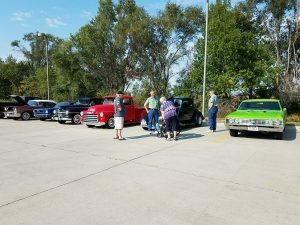 Members from the community brought their cars for a car show. Chris Sayre from the Humanities Nebraska Music Program presented a wonderful program titled “A Musical Journey Across America: Songs that Helped Shape a Nation”. He performed songs with a button accordion, concertina, guitar and saw. It was a wonderful week for all of the staff and residents and Blue Valley Lutheran Homes.